KK Women’s and Children’s Hospital (KKH) is a leading healthcare centre for Obstetrics,Gynaecology, Paediatrics and Neonatology. Founded in 1858, the 830-bed hospital is a referral centre providing tertiary services to manage complex conditions in women and children. 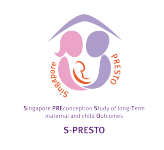 More than 600 specialists adopt a multi-disciplinary and holistic approach to treatment, and harnessthe latest innovations and technology for the best medical care possible.Accredited by Joint Commission International as an Academic Medical Centre, KKH is a majorteaching hospital for Duke-NUS Graduate Medical School, Yong Loo Lin School of Medicine and Lee Kong Chian School of Medicine. 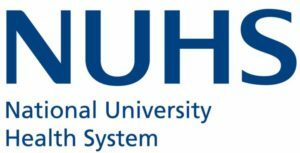 The National University Health System (NUHS) groups the National University Hospital, the NUS Yong Loo Lin School of Medicine, the NUS Faculty of Dentistry and the NUS Saw Swee Hock School of Public Health under a common governance structure to create synergies for the advancement of health by integrating clinical care, research and education. A leading global university centred in Asia, the National University of Singapore (NUS) isSingapore’s flagship university, which offers a global approach to education and research, with a focus on Asian perspectives and expertise.